This is a somewhat unusual body lotion. It uses a cup of tallow which is rendered beef, bison, or sheep fat. The advantage of tallow is that it’s 50% saturated fat and is easily absorbed by the skin. It’s also no-greasy. Cristina of an Organic Wife walks you through the steps of making this lotion. 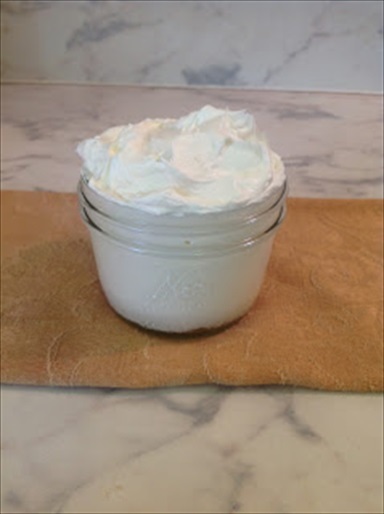 By the time you whip the mixture with a hand mixer, it looks like fluffy butter cream. Very creative recipe!